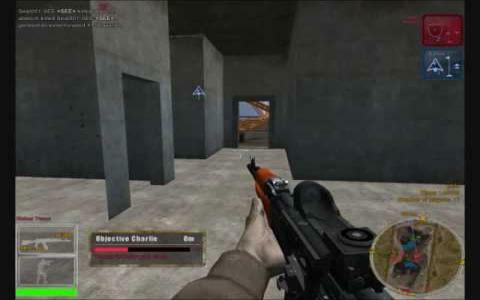 While this was up and running, Joint Operations was a pretty decent team-based shooter that made a nice alternative to the likes of Counter-Strike. However, seeing as though it's getting on a bit, you're going to have a hard time finding anyone to play with, making it a questionable choice at best in this day and age. This Combined Arms pack does include the base game of Typhoon Rising and the expansion pack Escalation but even so, there's little point picking it up. Just for the record though, Typhoon Rising was a fairly epic multi-player shooter with up to 150 players all running around blasting the living daylights out of each other in various modern themed maps. Like the Battlefield series, this one had vehicles to try out as well, including helicopters, boats, and APCs, while there was also an extensive set of weapons to use. Escalation added new weapons and vehicles, including tanks, more maps, and even a new mode, while also updating the graphics a bit. Back in the day, this was a solid shooter that offered much of interest to the genre fan. Unlike many such games, you really had to work as a team if you wanted to succeed and those going for the lone wolf approach usually found themselves getting hammered pretty relentlessly. The epic scale of things was a bit part of the game's appeal with the size of the maps and the number of players giving you the feeling of being involved in all-out war. The maps were also well designed and the visuals fine but today, there's just little point in checking this out as you're not going to find anyone to play with.